“If it bleeds it leads.” I get it, some people thrive on death, drama, and crime, but not all of us. I’d love to be able to watch news reports without having to switch to another channel, because one of my children walks into the room. Besides, I want to hear good news…a lot of good news! So, I hunted for web sites that deliver just what I crave – good news. The people behind Happy News find good news stories, from their own sources as well as others, and put them into one convenient place. One of yesterday’s headlines was “School Finds 340-Year Old Bible“. Credit to CNN for this story; now if only they could seek more feel-good news and report it, report it, report it. Enough of the Nancy Grace doom and gloom! How about another great story where University of Pennsylvania students distributed coats to needy children? Operation Warm is an organization that reaches out to children in 26 states in conjunction with a wide range of organizations that have the ability to reach deep into some of the country’s neediest communities. Good news stories aren’t just for entertainment purposes, they serve to inform. Maybe this story will help if you have (or know of) a child in need of a warm coat. Or, maybe it will incite you to make good on your promise to do more for your neighbors. Maybe the lack of good and wholesome programming is the reason why I watch a ton of home improvement shows. The content is great, the commercials are relevant, and the programming is kid-friendly without being Nick Jr News-ish. 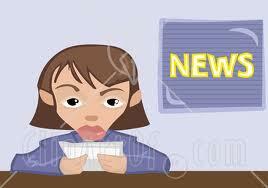 If Happy News begins televising their reports, I am SO there! Chime in with your thoughts.